Don’t be stuck knee-deep in water. Whether you have flooded ditches or are looking to irrigate some land, Flaman has a solution for you. 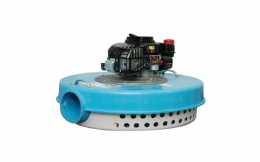 We provide a selection of pumps in varying sizes from leaders in the field like Warthog, BE, Watermaster, Honda and Robin to ensure you have your choice of reliable equipment to meet your needs. 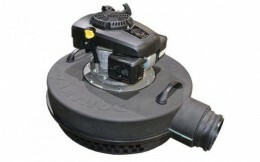 If you’re looking for floating pumps, we have two machines available. The Watermaster floating pump is a high-volume pump with options for gas powered or hydraulic configurations. This fiberglass pump is entirely self priming, is capable of moving 700 GPM, and comes with 400 feet of 6” lay-flat hose. The second option is our newest addition to our water pump line up: The Warthog floating pump; a highly fuel-efficient piece of equipment capable of pumping continuously for up to 15 hours at 850 GPM using only 26 liters of fuel. Both pumps weigh less than 90 pounds, meaning set up is a one-person job. 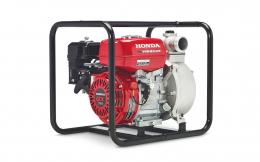 Our BE models are designed to handle not only water, but a variety of industrial and agricultural chemicals, while our Honda pumps feature a Protec seal that make it efficient for both chemical and fertilizer application in addition to water. From sprayers to all the fittings and accessories, Flaman is here to provide you with innovative and cost-effective solutions for your tank, pumps and chemical handling needs. Our team of experienced salesmen are happy to guide you through the process of acquiring equipment needed to maintain the efficiency and growth of your farming operation. We’re closer than you think, with 9 dealerships across Western Canada. Visit your nearest location to take a closer look at our full selection of agriculture equipment.